Beginning from outside the Tabernacle, an area of aimless wandering, we are guided into the inner sanctuary of God. As we pass each item of God’s glorious design, we learn more about God, how to worship Him and how to meet Him. 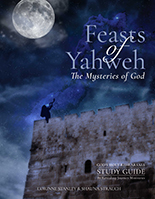 Step back in time and watch God’s divine plan unfold as He instructs the children of Israel through the Tabernacle construction. Learn the purpose of each piece of furniture, the meaning of each color and stone used and how all of it reveals the life of Jesus Christ. Experience the revealing of God’s plan. How the Tabernacle is the meeting place for God and the people He loves. When we accept Christ as our Lord and Savior, we become a Tabernacle, a dwelling place for our God. Understand in a new way how God desires this relationship that is the indwelling of Himself in our hearts and minds. This is your opportunity to follow God’s awesome plan and allow the Holy Spirit to transform you life. 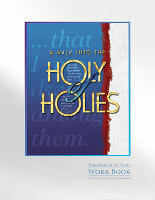 “A Walk into the Holy of Holies” has touched hundreds of lives. It is God’s anointing of this journey that opens the hearts of all to the joy, beauty and reverence of our Holy God. Come with us on this journey as countless men, women and youth have. Quench your thirst for a renewal of faith, a quality prayer life and a new purpose in worship of our God. 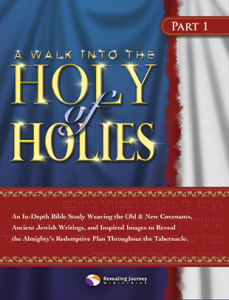 “A Walk into the Holy of Holies” is a journey into God’s beautiful plan for His people. Step by Step you will see God’s plan unfold and discover how perfect and unchanging it is. Then you will walk into the holiest place fully prepared to meet our Lord and dwell in His presence. It is an exciting experience that has changed lives and opened eyes and hearts. God desires all to hear this message and come to Him in His holy place.